Customers and community members can help Chelan PUD keep the lights on by choosing trees and shrubs to plant that are utility friendly, water frugal and fire resistant. Firewise and power line friendly trees and shrubs are always the right pick. If you see trees tangled into lines, it’s important to STAY AWAY and assume all downed lines are still energized. For your safety – and the safety of PUD crews – do not try to remove limbs from lines yourself. Chelan PUD sponsors seedling distributions in five communities. You can talk with Sanborn about the best varieties for planting near power lines at the April 13, distribution at Walla Walla Point Park from 10 a.m. to 3 p.m. (or as long supplies last). Sanborn said golden currant, oakleaf sumac and viburnum seedlings are good choices for planting near power lines. 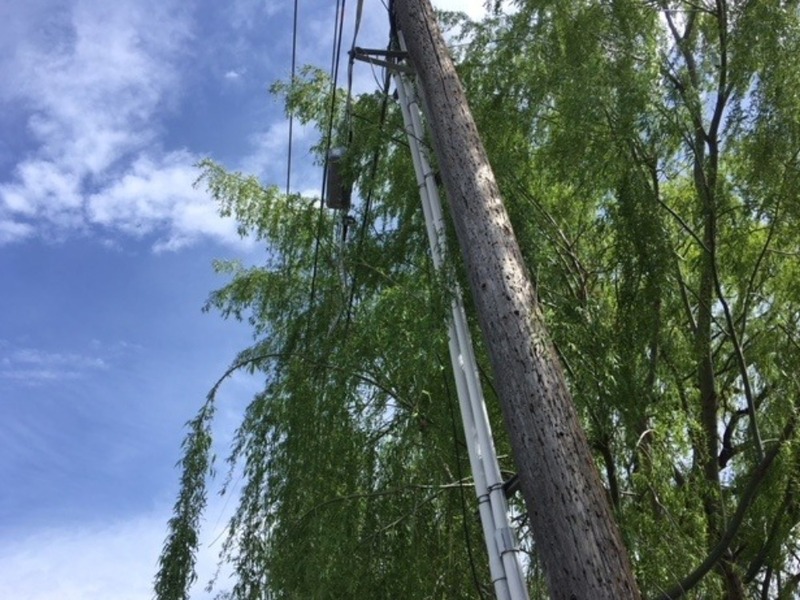 He is happy to answer tree questions from Chelan PUD customers-owners and to work with them to prune or remove trees growing too close to power lines. For more information contact Bill Sanborn, PUD arborist and vegetation manager, at (509) 661- 4508, or bill.sanborn@chelanpud.org.